Now in its 11th year, the Ferndale Blues Festival has been renamed the Bud Light Blues & Music Festival. The name more accurately describes the musical choices at the event, which, in truth, was never strictly a blues music festival. 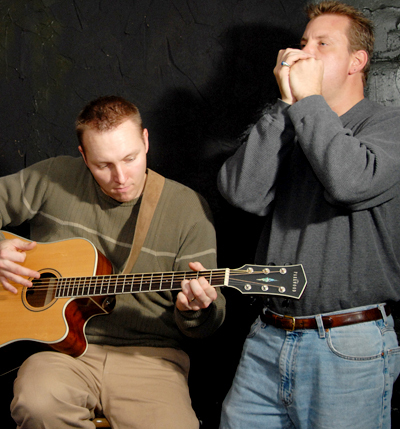 The participating venues have always hired their own entertainment for the festival. Whether through lack of knowledge of the local blues scene, or perhaps from booking performers they are familiar with, club owners often presented non-blues acts. That being said, there are still many fine blues artists to enjoy at this year’s festival, which opens Friday (Jan. 27) and runs through Feb. 4. Guitarist-singer Luther “Badman” Keith performs with his band featuring Billy Furman on sax, Paul Baker on bass and drummer Milton “Heavyfoot” Austin at Buffalo Wild Wings on Friday (Jan. 27), and then partners with original Parliament-Funkadelic keyboardist Mickey Atkins at Howe’s Bayou on Jan. 28. You can expect a few Motown classics from the duo as well. Another interesting show should be the performances by the Blue Collar Boys featuring Jennifer Westwood on Jan. 28-29 at the Loving Touch, one of six new Ferndale festival sites. The band -- vocalist Jennifer Westwood, bassist Tony DeNardo of The Muggs, guitarist Dylan Dunbar, and drummer Matt Stahl -- features covers of classic soul, rock, and blues tunes. Ken Marten and James Murphy of Murrow’s Boys will be performing acoustic blues on Feb. 3 at Howe’s Bayou. Singer Sweet Claudette will be at Como’s on Jan. 27 and Feb. 3. 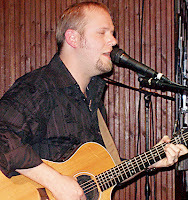 Also on Jan. 28, catch Erich Goebel and the Flying Crowbars with Looking Up At Down at the New Way Bar. 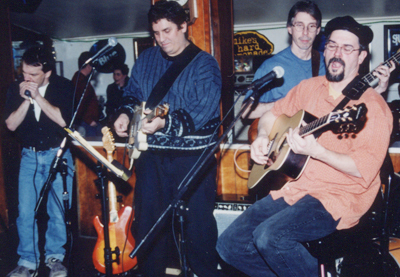 Other blues acts include The Reefermen on Feb. 4 at Dino’s and Albert Young & the Straight 8s on Feb. 3-4 at Tony’s Sports Bar. There will be a Blues Brunch at The Emory from 9 a.m. to 2 p.m. on Jan. 28, and the Rockin’ Blues BBQ Rib Burn Out Tent runs noon to 9 p.m. Feb. 4, with a rib contest and performances by Blues Infusion with Chris Brantley and Billy Furman, and the Hunter Brooks Band, in Ferndale’s City Library Parking Lot. Looking for something slightly different? 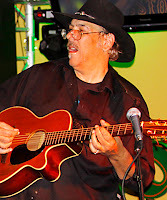 Check out some psychedelic blues from My Pal Val on Feb. 2 at Rosie O’Grady’s, or party with Big Will & The 360 Degrees Band, featuring William (Big Will) Elijah, former frontman of the Sun Messengers, on Jan. 28 at Dino’s. The festival is not limited to Ferndale sites. Champagne and the Motor City Blues Band will perform an early show at 6:30 p.m. on Jan. 28 at the Royal Oak Township Recreation Center. Proceeds from blue piggy banks at festival venues benefit Ferndale Youth Assistance and Michigan AIDS Coalition. A Blues Shuttle will run on the festival’s Saturday nights. 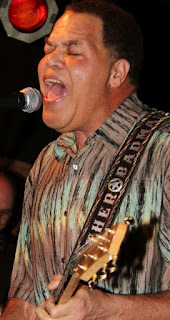 More information and a complete schedule of events can be found at www.ferndalebluesfestival.org. To send info to JB Blues, please email Joe.Ballor@dailytribune.com. 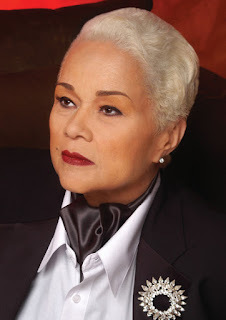 The Associated Press has reported that legendary blues/R&B singer Etta James has died from leukemia. James got her start in the early 1950s with bandleader Johnny Otis and recorded a a string of hits in the late 1950s and '60s including "Trust In Me," ''Something's Got a Hold On Me," ''Sunday Kind of Love," ''All I Could Do Was Cry," and of course, her trademark jazz-inflected love song "At Last." James, born Jamesetta Hawkins in Los Angeles, overcame a two-decade drug problem and continued to record until recently. She won six Grammy Awards, including the prestigious Lifetime Achievement Award. In 1993, James was inducted into the Rock and Roll Hall of Fame, and in 2001 she was inducted by both the Rhythm and Blues Hall of Fame and the Rockabilly Hall Of Fame. She also is immortalized in Hollywood with a star on the Hollywood Walk of Fame. 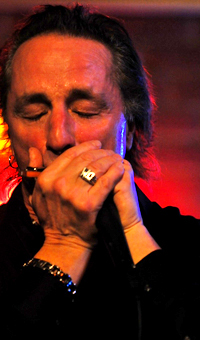 Guitarist extraordinaire Jim McCarty is looking forward to joining forces with harmonica player-singer James Montgomery as the headline act on Friday (Jan. 6) at the Anti-Freeze Blues Festival at the Magic Bag in Ferndale. McCarty and friends – guitarist Jeff Grand, bassist Marvin Conrad and drummer Todd Glass – will be joining Montgomery on a bill that includes Laith Al-Saadi, Pazman’s Supersession and The Difficulties. Montgomery, who made his name with the Boston-based James Montgomery Band, is a Detroit native. His brother owns Dylan’s in Grosse Pointe and, for the last four years or so, McCarty has performed with him during a December jam there. Now, they’re teaming up to heat up the Anti-Freeze Festival. As headliners, Montgomery and McCarty will have the freedom of a longer set. 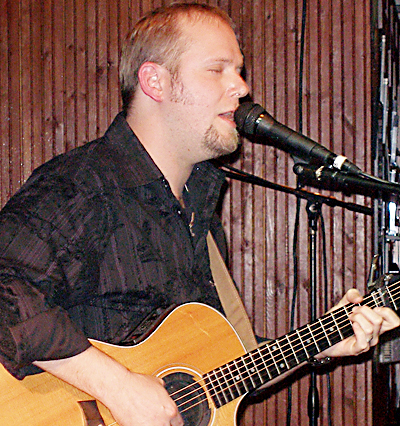 McCarty almost joined forces with Montgomery years ago. 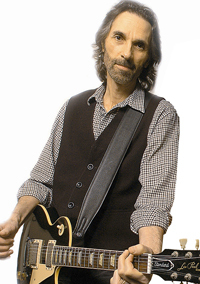 Looking ahead, McCarty is eagerly anticipating more gigs with Cactus, a band he joined in the early ‘70s and has played with intermittently since they reunited in 2006. The current group includes McCarty, drummer Carmine Appice, former Savoy Brown vocalist Jimmy Kunes and bassist Pete Bremy. Cactus will tour in April, with stops in New York, Long Island and Ohio. McCarty fondly remembers a show Cactus played at the Magic Bag last summer. The Anti-Freeze Blues Festival continues Saturday, with Reverend Peyton’s Big Damn Band, Thornetta Davis, Detroit’s “Gentleman of the Blues” Johnnie Bassett, and the Rattlesnake Shake. Tickets are $20 per night and are available at the Magic Bag box office and on ticketweb.com. A portion of the proceeds benefit the Detroit Blues Society.